Earlier in the week, we first reported on a new app from Android Engineer Roman Nurik called DashClock. Since that report, it seems to have taken the Android app world by storm, prompting all sorts of praise and a hope for future compatibility from other top apps. In case you missed the mention in that article, an API for the app is available for other developers to use to build out “extensions” from their apps that can be used in DashClock. Today, one of the first major apps to build out such support is Falcon Pro. 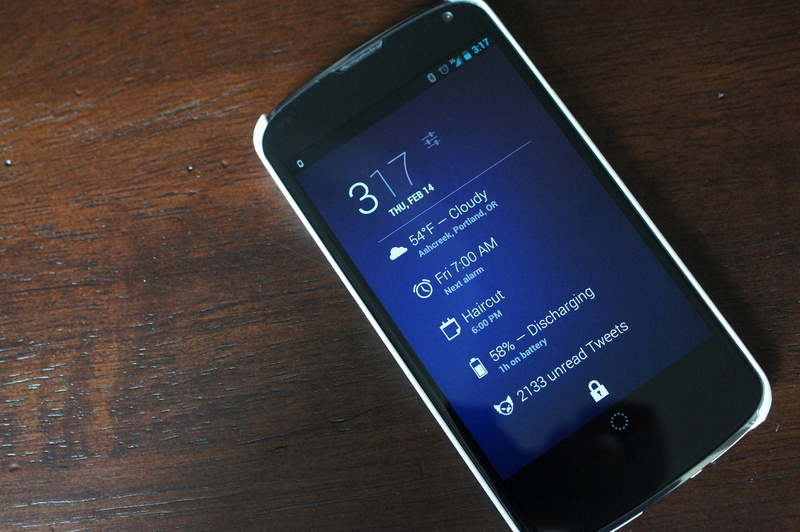 In today’s update to the popular Twitter app, an extension for DashClock was included. As you can see in the image above, the extension shows you an unread Tweet count that when tapped, opens up Falcon Pro. Battery Extension: Shows your current battery percentage and whether or not you are charging. AppLauncher: Allows you to pin any app to DashClock and then launch it with a tap. DashClock Tasks: Combines with NoNonsenseNotes to show you a list of today’s tasks that need to be completed. Be sure to let us know if you find others!